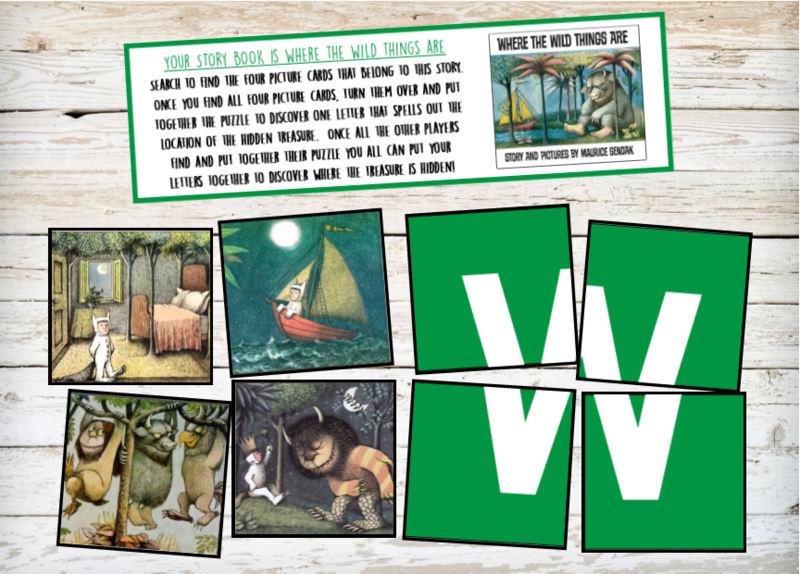 Our printable Story Book party treasure hunt game can be used at a book / reader themed birthday party or even in the classroom or library to promote reading. (it is color coordinated so players know which facts go with which book). Each one of the picture cards has a piece of a puzzle on the back. When they put the four pieces together it will form a letter. Once all players have put their puzzles together they can then put the letters together to reveal the secret hiding location of the treasure or prize. This is a sample of one of the featured books. There are 10 in all, and each comes with four picture cards about that book. On the back of each card is a piece of the puzzle that leads to the treasure. 1. Determine how many players you are going to have. You can have up to 10, if you have more players then you will need to play in teams. If you have less than 10 then you will need to choose which titles you want to play with. 3. 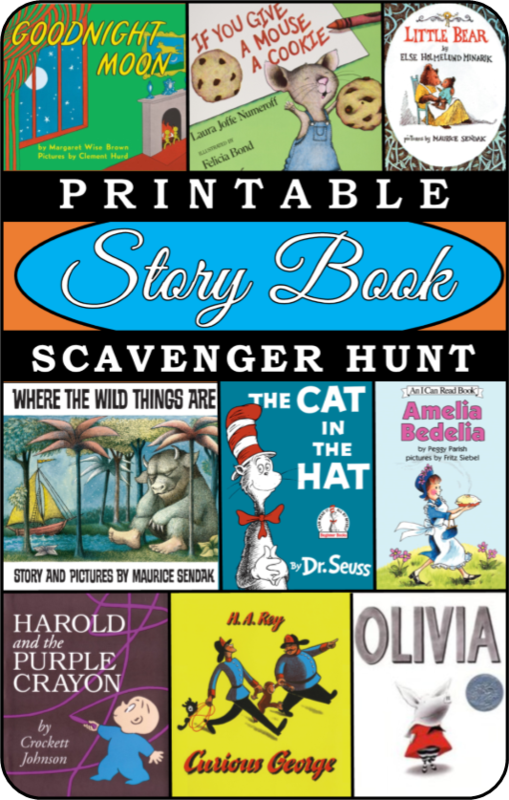 Once you have decided -download and open the PDF with the story book scavenger hunt game in adobe reader. This is a free program that you more than likely already have, but if not you can download it at adobe.com. Once you have opened the game file you will want to click in the middle of the four colored squares on each game page that you are going to use and type in one of the letters that are in your location. Do this until you have spelled out the treasure location. This is a sample page from the actual hunt. 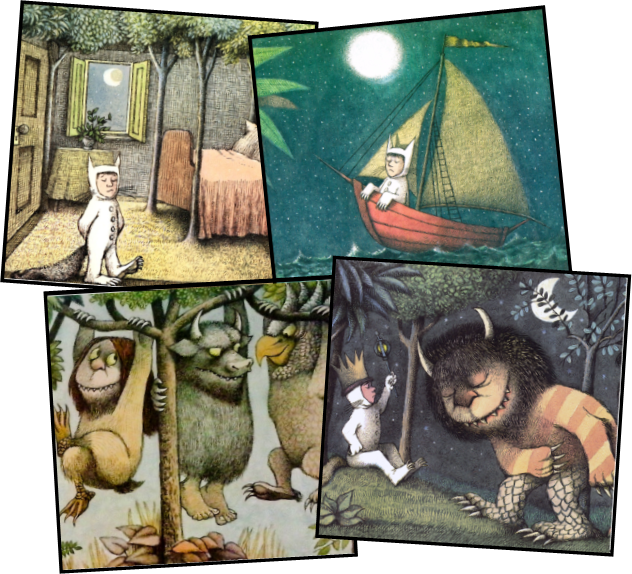 This is the Where the Wild Things Are page, but each of the 10 pages have the same layout. 5. Cut out each title card(the long card with the book name and image) along with the eight squares that go with it. Then put the title card aside. 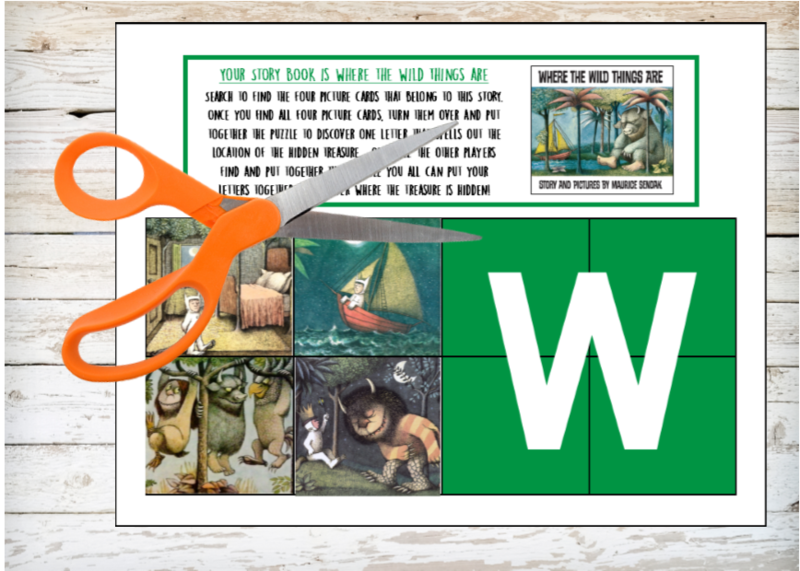 Next glue, tape, or laminate the squares so that each clue has a piece of the puzzle on the back. 6. Hide all the squares throughout your play area. 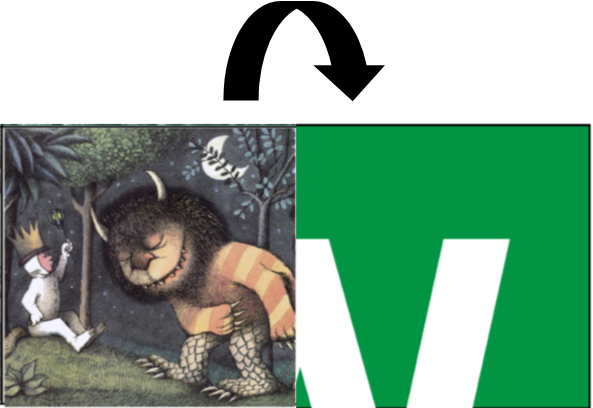 Assign each player or team a book title and provide them with the matching title card. Tell the players to look for the four picture cards that match their story, and if they stumble across another players card to leave it be. The picture cards are color coded to match the title card so that players do not get their pictures mixed up. 7. When a player finds all four of their picture cards they can put their 4 piece puzzle together to discover which letter their puzzle creates. 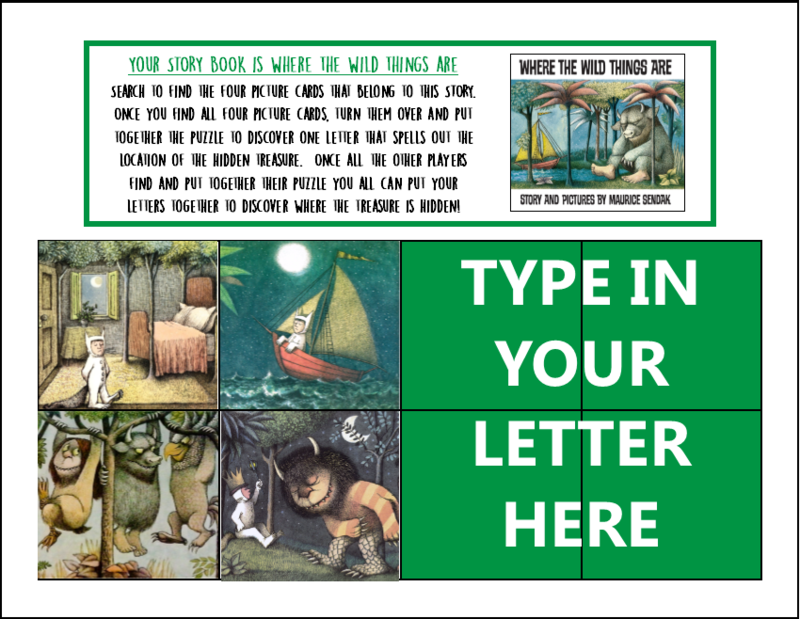 When all players have found all of their clues and put together all of their puzzle, they can work together to put the letters together to determine where the treasure is hidden. We used the letters to spell out location UNDER TABLE - but you can choose anything you choose as long as it is 10 letters or under. 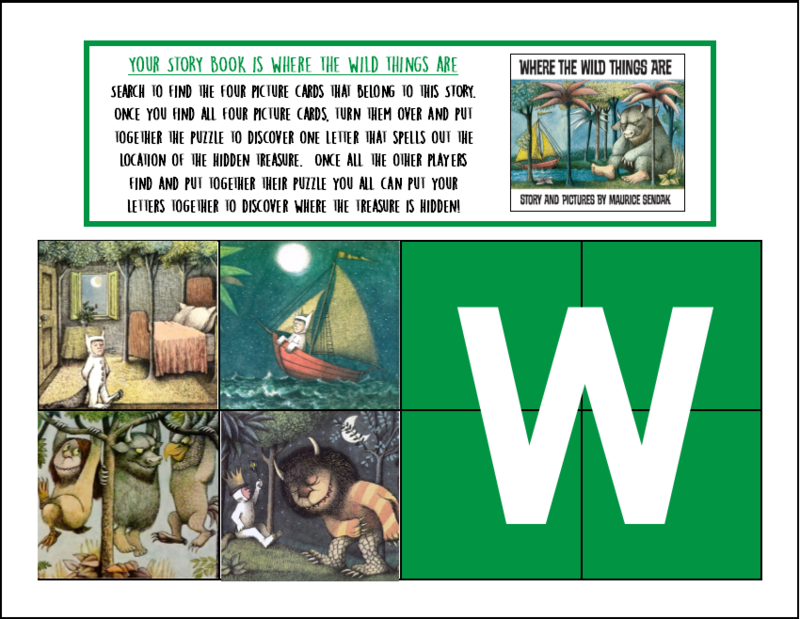 OPTIONAL: This game is tons of fun for the young readers and book lovers, but it can also be very educational. After the game is over and the treasure has been found you could have each child tell the rest of the players about their book.